Description: A template can reduce a huge amount of work when you design a fault tree diagram. 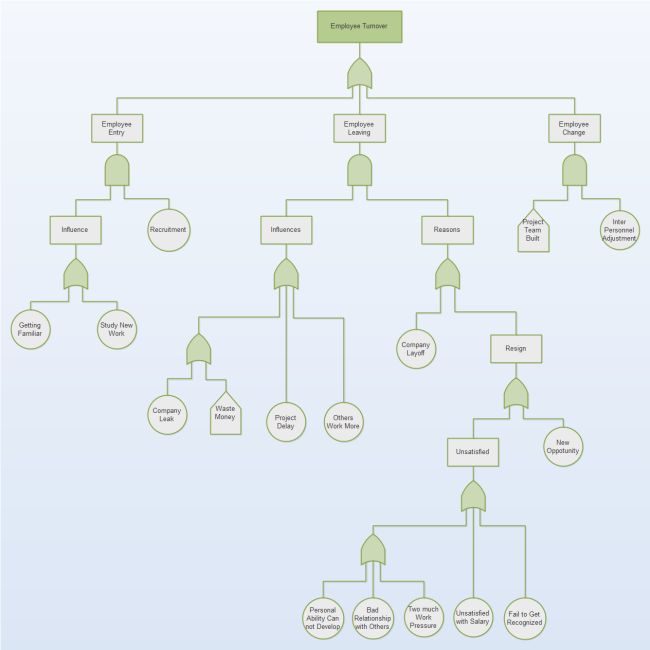 This employee turnover fault tree diagram is designed by Edraw Max, which contains lots of symbols and easy layout methods. Download the software to start a fast design now.